Author’s Note: The following article was written last May for a Medical Tourism publication that requires original content, so I have not posted it to this blog until now. It was recently brought to my attention that they may not be around much longer, so that is why I am posting it at this time. In these uncertain times, it is difficult, if not impossible, to predict from one minute to the next, one day to the next, one month from the next, or one year to the next, how any industry will grow and what its future will look like. So to predict where one sees the medical tourism industry going in the next five to ten years is anyone’s guess. But there are a few key indicators of what might happen if certain trends hold true. In my first six months of blogging about medical tourism and workers’ compensation, I have found three key indicators of where the industry might go if the trends they signal continue for the next five to ten years. These indicators are costs, immigration reform, and technology. The cost indicator can be further broken down into its component costs, i.e., in-patient hospital costs, outpatient services costs, consolidation of US hospitals which lead to higher costs, and costs to employees covered under their employer’s health care plans, as more employers shift the burden to the employee. There may be other costs that will affect the medical tourism industry’s growth in the next decade, but the costs listed above have a more immediate effect because they impact patients more than they impact the health care system at large. While it is true that hospital costs will impact everyone, the patients will experience it more because it may limit them to choosing certain hospitals that charge less for the treatments they require, but at lower quality of care. There will always be one hospital that charges the most and one that charges the least, so the patients may be forced to choose between one, and the other. This article will outline some of the things I think will determine the future of the medical tourism industry, and is based on my knowledge of the US healthcare system and my workers’ compensation background. It is by no means an exhaustive inquiry into the future of medical tourism, but it is hoped that the reader will get a better idea of the state of the industry in the years ahead. As I reported in my blog article, Rising Hospital Costs: What they mean for Workers’ Compensation and Medical Tourism, workers’ compensation carriers were noticing that their bills and payments to hospitals for inpatient and outpatient services were increasing significantly faster than other costs. I cited a report from the Workers’ Compensation Research Institute (WCRI) that shows that facility costs were up in several states, including Indiana, which was the focus of the report. The WCRI reported that Indiana’s costs were substantially higher than the median states WCRI mentioned in the report. This increase was driven by prices. Indiana, which does not have a fee schedule for facilities, means hospitals there can raise prices whenever they want, and are doing so. The WCRI also reported that overall hospital payments per stay increased 12% per year from April 2005 to September 2010. At that rate, workers’ compensation carrier’s costs will double every six years. In addition, an article in the New York Times on December 18th, 2012, that stated that hospitals are likely to get huge cuts from the fiscal cliff deal, and that Medicare cuts will target hospital reimbursements. At time I wrote that article, I predicted that as far as medical tourism is concerned, in-patient services were where the industry will have the greatest opportunity to address this problem. Rising US hospital costs may force US workers’ compensation carriers to look for lower cost, better quality health care services for their insured’s injured employees, something which medical tourism is already offering the private insurance market in the US. Sometime after I wrote about increasing in-patient hospital costs, I wrote another article about outpatient services costs entitled, Outpatient Facility Costs Rising Could Benefit Medical Tourism Industry. In that article, I reported that the Workers’ Compensation Research Institute had released another study that analyzed the outpatient facility costs, cost drivers, regulatory mechanisms, and trends in 20 states. States with no fee schedule regulation on reimbursement had higher hospital outpatient/ASC (ambulatory surgical center) costs than states with fee schedules. The costs in states without fee schedules were 27 percent to 73 percent higher than the median of the study states with fee schedules. States with fee schedule regulations that were based on a percentage of charges had higher costs compared to states with other types of fee schedules, such as per-procedure based or ambulatory payment classification (APC) based fee schedules, with the exception of Illinois. After fee schedule changes, growth in hospital outpatient/ASC costs resumed at faster rates in states with fee schedule regulations that were based on a percentage of charges. Significant variations in hospital outpatient/ASC costs were also found across states. Compared with the 17 state median, the average hospital outpatient/ASC cost per surgical episode in Massachusetts—the state with the lowest costs—was 60 percent lower than the median study state, while the average cost in Illinois—the state with the highest costs—was 45 percent higher, as of 2009. I also stated that as facility costs rise in these 20 states, due to changes in Medicare and Medicaid hospital reimbursements, cheaper, more cost-effective forms of treatment will become valuable to the payers who are now looking at higher facility costs, even for outpatient services. I predicted then that should costs rise too much for even most workers’ compensation payers to pay, alternatives in medical tourism will be more and more attractive, especially for more serious cases, and perhaps, for those that otherwise would have been treated on an outpatient basis domestically. To take advantage of this increase in outpatient costs, medical tourism facilitators should factor in the cost of treatment, travel and accommodation expenses, so that medical tourism could compete quite favorably with US hospitals in these states, and others, where facility costs will have skyrocketed out of control. The consolidation of hospitals across the US had led to higher healthcare costs from higher hospital spending, according to a blog I cited in my blog post, Consolidation of US Hospitals Lead to Higher Costs and Reduces Quality. The blog I mentioned in my article stated that hospital spending is the key driver of healthcare costs in the US and has been growing at nearly 5% year over year. One cause of this consistent increase in spending is the continuing consolidation of hospitals around the country. This increase in consolidation, has given some merged hospital systems oligopoly power to impose fees that are far higher than those found in areas with high market competition. Statistics show that hospital consolidation in highly concentrated markets have driven prices up by as much as 40%. Consolidation hasn’t led to lower costs or improved quality. This is another area of costs that will have a definite impact on the future of the medical tourism industry, because hospital consolidation shows no sign of slowing down or halting altogether. And as we shall see in the next and last cost category, the impact of ever increasing costs in health care in the US will eventually lead to the one sector of healthcare that will suffer the most — the patient. Up to now, I have discussed the impact higher costs may have on the future of the medical tourism industry in the next five to ten years. However, many of these costs will be borne by payers, not by the patients themselves. Where the trend in increasing costs does indicate that patients will be affected is in a survey released recently by the US health insurance company, Aflac, famous for its Aflac duck commercials. Only 24% of workers completely agree or strongly agree they will be financially prepared in the event of an unexpected emergency or serious illness. Further, 46% of employees have less than $1,000 to be able to pay for out-of-pocket expenses associated with an unexpected serious illness or accident, and 25 percent of employees have less than $500. Four-in-ten (40 %) of workers would have to borrow from their 401(k), friends and family to pay for out-of-pocket expenses associated with an unexpected serious illness or accident; 28 percent would have to use a credit card. 75% of workers said they think their employer would educate them about changes to their health care coverage as a result of reform, but only 13 percent of employers said educating employees about health care reform was important to their organization. The net result of this is that cost-shifting from employer-sponsored health care plans to workers’ compensation will hasten the day medical tourism is implemented into workers’ compensation, so that employers and carriers can take advantage of the lower costs of medical care abroad. There is no doubt that health care costs are rising and will continue to rise in the foreseeable future. The Affordable Care Act (ACA) was enacted to reduce costs, but many critics of the law believe that it will do the opposite. Only time will tell if these critics are right. In the event that cost do rise, the medical tourism industry must be ready to meet the challenges that higher costs present to the American people. Immigration reform would seem like a very unlikely indicator of what the future of medical tourism will be, but it needs to be addressed for the purposes of implementing medical tourism into workers’ compensation. Since the end of the US election last November, both political parties, the Democrats and the Republicans, have been involved with staking a position on comprehensive immigration reform. The majority of Democrats have backed efforts to reform the American immigration laws, while half of the Republicans in both houses of Congress, and a considerable portion of their electoral base, opposes immigration reform. The results of the Presidential election brought home one clear fact, the demographics of the US is changing, and the growth of the Latino community is a part of that change. So it behooves a political party that wants to be viable in the future to support immigration reform. The party that refuses to do so, does at their peril. In Immigration Reform on the Horizon: What it means for Medical Tourism and Workers’ Compensation, I focused on the report by the Independent Insurance Agents & Brokers of America, Inc. (IIABA) and the Pew Hispanic Center, that stated there are probably 11 to 12 million undocumented immigrants in the US, depending upon how many “self-deported” due to the current US economic slowdown, of which demographically, this represents 5.4 million men, 3.9 million women, and 1.8 million children. In addition, there are 3.1 million children who are US citizens having been born here (64% of all children of the undocumented) from one or more parent. I also mentioned that the report stated that out of the total number of undocumented adults, 9.3 million, 7.2 million (77%) are employed and account for around 5% of the US workforce. They comprise a disproportionate percentage in some industries, such as 24% of farm workers, 17% of cleaning workers, 14% of construction workers, and 12% of food preparers. These industries are some of the more typical industries where workers’ compensation claims are filed from. Within a particular industry, undocumented workers comprise a higher percentage of more hazardous occupations, e.g., 36% of insulation workers and 29% of all roofing employees are estimated to be undocumented. Undocumented workers are entitled to workers’ compensation benefits in thirty-eight states, and many states place certain restrictions on whether or not undocumented workers can get benefits, or under what circumstances. In addition, I pointed out an earlier post I wrote about Mexico as a destination for medical tourism for Mexican-born US workers, and I believe that as this issue gets closer to being solved, the likelihood will increase, that injured workers from Mexico and other countries in Latin America and the Caribbean, as well as native born American workers’, will travel to medical tourism destinations in the region, provided the workers’ compensation industry goes along with it. You would not think that technology has anything to do with the future of medical tourism, but then you would be a modern day Luddite. Technology is revolutionizing many facets of life, and health care is a part of that. Electronic medical records, advances in imaging systems, and a host of other medical devices are changing the way health care is delivered. But there are other ways technology is changing health care, and that will have a profound effect on medical tourism. In my White Paper on the barriers to implementing medical tourism into workers’ compensation, I mentioned several laws that prevent physicians from consulting with patients through the internet or over the phone. This may seem silly given the communications revolution, but it is a product of what happens when technology outstrips the laws we enact. What this will mean for medical tourism is that before a patient goes abroad, either the patient or their local physician will be able to discuss the case with the physician at the medical tourism facility, and that the physician overseas will be able to access the patient’s records while consulting with the patient or the local physician. This will provide confidence to the patient that the treating doctor understands the patient, knows what treatment they are seeking, and will assure that the patient will have a better experience than if they simply went to the facility without first having any contact with the treating physician. It will also mean that both physicians can collaborate on treatment and aftercare, so that the patient can have a positive outcome. Medical tourism facilitators, insurance companies and even employers will be aware that the patient’s needs are being met because of the ease of communication technology provides. Before I conclude this discussion of the future of the medical tourism industry, I’d like to make a few observations that have concerned me for some time, and that must be addressed if the future of the industry is to be a bright and rewarding one for all participants. I am well aware that the medical tourism industry is still, as some have called it, a “cottage industry”. But it is a growing industry, and one that can ill afford to have petty jealousies, petty politics, and downright nastiness as a way of doing business. I am aware of individuals and organizations who have acted in less than honorable ways that cause more harm to the industry as a whole than it does to their own reputations. One can only imagine if other industries acted this way, where they would be, both financially and organizationally. There are nearly seven billion people on this planet, and while it is likely not all of these seven billion will ever leave their home countries for medical care, the millions that will deserve a medical tourism industry that works harmoniously for the benefit of all patients. It is incumbent upon the medical tourism industry to act like responsible adults and treat each other with respect and cooperation, rather than with enmity and suspicion. There is plenty of business for all involved, so that the term “cut-throat competition” should not be taken literally. Another observation I want to make is lack of transparency on costs of surgical procedures. Earlier this year, I wrote about some of the hospitals and clinics in the Caribbean and Latin America region from marketing brochures I got from the 5th World Medical Tourism and Global Healthcare Congress in October 2012. In trying to get more information for specific hospitals in some of these countries, I have had no success in getting information from the contacts I made at the Congress, or from individuals I have connected with through social media. If medical tourism is to be taken seriously as an alternative to higher medical costs, especially here in the US, and more specifically, with regard to costs for workers’ compensation injuries requiring surgery, knowing how much a knee operation in Mexico, Costa Rica, Guatemala, Brazil, or other regional destinations, costs is very important. In light of the recent revelations by CMS of hospital charges in the US, where for example, spinal fusions range anywhere from $19,000 to more than $470,000, medical tourism destinations should be more than willing to produce an up-front range of costs for these and other procedures. This will go a long way to making medical tourism more open to all. Also, it will allow comparisons to be made, so that the choice to implement medical tourism into workers’ compensation can be made by employers, insurance companies, third party administrators, and maybe even the patients themselves, if provided with sufficient data to consider. Transparency and a more cooperative and non-adversarial industry culture will mean that medical tourism will not just be a niche market, but a viable alternative for medical care. If I want to know how much a knee replacement or repair costs in Argentina, Brazil, Costa Rica or anywhere else in the Caribbean and Latin America region, so I can compare them to costs for the same procedure in the US, India, Singapore or Thailand, I should be able to do so easily, without having to go through hoops to get them. The future of the medical tourism industry depends upon many factors, some it can control, and others it cannot. My purpose here was to try to examine some of the factors that the industry does not control and that may have a positive impact on the industry in the next five to ten years. We examined the issue of the cost of medical care from its various components. We saw that hospital costs, outpatient costs, the consolidation of hospitals and the cost to employees are all going to impact the future of medical tourism. We also looked at the likelihood that immigration reform in the US could mean that medical tourism may one day be implemented into workers’ compensation as more undocumented workers achieve legal status and can opt for treatment in their home countries if injured on the job. And finally, we looked at where technology was going and how it will be possible for medical records and information to be transmitted through smartphones, making it more likely that medical tourism will be a viable option and that the treatment a patient receives is based on the most up-to-date medical records available. So in closing, I think the future of the medical tourism industry is a bright one, so long as the industry can come together and work out its problems and can expand beyond being a rich man’s game. The other factors I mentioned above will only be important once the industry has shaken off its past and holds its head up high and steps up to the plate to provide better quality healthcare at lower prices for all patients, individuals, group health plan members and injured workers. This entry was posted in Health Care Costs, Immigration Reform, Medical Tourism, Technology and tagged Costs, Hospital Costs, Immigration Reform, Medical Tourism, Technology, Trends on September 30, 2013 by Transforming Workers' Comp. Back in May, I wrote a post entitled, “If You Have to Ask…Fuggedaboutit! “, in which I described the difficulty I had in trying to get pricing information from facilities in Latin America and the Caribbean, and why transparency was needed if medical tourism was ever going to be implemented into workers’ compensation. The reason, David suggests that costs are higher here, is because they can charge whatever they want to, and people will pay it. According to John Green, there is no central pricing controls as there is in other countries, consumers will pay whatever is charged because they don’t know any better, and because, as I’ve said before, there is no transparency in pricing, both domestically as John and David state in the video and article, and in medical tourism. Some medical businesses are beginning to advertise their prices, according to David, and it is causing a debate in certain medical circles. The Surgery Center of Oklahoma is one of those businesses that have posted its prices and a bidding war has begun with other facilities in that state. As far as general health care is concerned, David says that pricing transparency is gaining momentum, but as we have seen in medical tourism facilities, such transparency is anything but transparent. The state of North Carolina passed a law requiring hospitals to provide prices for 140 common procedures and services, and the federal government published the billed charges for the 100 most common procedures for inpatient services, including spinal fusion. While much of what David and I have been discussing so far is related to general health care costs; as for workers’ compensation, the issue of price is meaningless, David points out, without knowing the quality of the care provided, meaning outcomes. Again, this is where medical tourism fails to be transparent, because it claims on the one hand to be less expensive, but won’t tell you how much, nor will they tell you what their quality outcomes really are, only that they are better than what is found in the US. Man may not live on bread alone, but medical tourism shouldn’t live on faith alone either, it has to have facts and data to back up its claims, the data must be reliable, and they have to be transparent. In workers’ compensation, much of the decision making is not incumbent on the patient/injured worker, so that price is not their concern, as it is not their money. These decisions are often left to physicians, insurance companies or claims administrators, attorneys, the state, or the employer; therefore, the patient/injured worker only decides if they are going to undergo a particular procedure. There is no reason, David says for the patient/injured worker to not know how much is being charged for a service or a product before the actual purchase of the service or product. The only thing that a patient/injured worker would be concerned about is the quality, because it is their body that is going to be operated on, so naturally they want to know that the outcome will be successful. You’d want to know that the spine surgery you are about to get is going to leave you either paralyzed or will allow you to walk again, right? Education about quality, the doctor/patient relationship, easy and available data that can be interpreted, as well as choice in providers (even medical tourism providers) will make a difference, according to David. Transparency will be good for the ultimate health of the medical industry and workers’ compensation, which has been my argument all along, and as consumers get used to seeing prices before making decisions about procedures, the more that pricing will become a factor in choice. Once that happens, David believes, those competing on prices will start publishing outcomes and quality measures, and there will be competition based on outcomes. It is a matter of culture, and both the culture of the medical tourism industry and the workers’ compensation industry must change. Not to do so will be very costly and very dangerous for those who pay for health care and those who receive health care. This entry was posted in Health Care Costs, Medical Tourism, Quality, Quality Measures, Transparency, Workers' Compensation and tagged Costs, Health Care Costs, Medical Tourism, Transparency, Workers' Compensation on September 19, 2013 by Transforming Workers' Comp. For some time, I have been unable to provide my readers with any real data on the business of medical tourism, so that they could realize the value and potential of medical tourism, and how it can provide lower cost health care, with better quality of care. I have tried to get cost comparisons for surgeries common to workers’ compensation, but that effort has been difficult at best, and extremely impossible, to say the least. It is either a closely guarded secret, or a threat to the business model of the medical tourism destination to reveal actual costs for surgeries. But I came upon some rather interesting and revealing data today about international tourism that I think may help clarify and suggest why implementing medical tourism into workers’ compensation is a good idea. The data I found does not specifically concern medical tourism, per se; but for this article, I would like to transpose the word ‘travel’ for ‘tourism’, as I have already done in the title above. As reported today in the International Medical Travel Journal (IMTJ), international tourism (travel), grew by 5% during the first half of 2013, compared to the same period last year, reaching almost 500 million travelers, according to the United Nations’ World Tourism Organization (UNWTO). The IMTJ article also stated that growth was above the projection made at the beginning of the year, from +3% to +4%, and is also exceeding the trend as outlined in the UNWTO’s Tourism Towards 2030 long-term outlook, at +3.8% a year. Breaking down by region, the best results were to be found in Europe (+5%), Central and Eastern Europe (+10%), Southern and Eastern Europe (+6%), Asia and the Pacific (+6%), with the Americas only improving +2%. Within the region, Central America performed above the region’s average at +4%. To get a deeper and broader perspective on what this means for international tourism (travel), and to ascertain if there was any impact on medical tourism in this data, I downloaded the UNWTO’s UNWTO Tourism Highlights 2013 Edition report. According to the UNWTO, international tourist arrivals (ITA) [i.e., overnight visitors], grew by 4% in 2012, topping the 1 billion mark globally for the first time in history. Asia and the Pacific had the fastest growth across all regions, with a growth rate of 7% in international arrivals, or 16 million more arrivals. The Americas experienced sustained growth at 5% in arrivals, or an increase of 7 million arrivals. Within the Americas region, Central America led the way with an 8% increase in arrivals, or 9 million arrivals, South America realized a 5% increase in arrivals, or 26.7 million arrivals, and the Caribbean realized a 4% increase in arrivals, or 20.9 million arrivals. I will concentrate on data for the Americas, with particular focus on the Caribbean, Central America and South America, for the reasons I have stated time and again in earlier posts about the region and about immigration. The report also highlighted the reasons for travel in 2012, with just over half of all international tourist arrivals (52% or 536 million arrivals) for recreation and leisure activities. 14% reported traveling for business or professional reasons, and another 27% travelled for purposes ranging from visiting friends and relatives, religious reasons, and for the purposes of this article, health treatment. While there is no specific data for how many people travelled for medical care, the fact that it is included in the second largest category is illustrative of how important medical tourism is to the overall global travel and tourism industry. It also suggests that the implementation of medical tourism into workers’ compensation can have a significant impact on the growth of travel abroad, especially to the regions within the Americas that a growing portion of the American workforce has emigrated from or will have connection to in the future. To understand the financial impact of this growth in international travel, the report highlights the growth in international tourism receipts (ITR), which matches the growth already seen in arrivals. International tourism receipts grew by 4% in real terms in 2012, according to the UNWTO. That translates to a new record of US$ 1.075 billion. There is a strong correlation between both key indicators that monitors trends in international tourism (travel). The Americas earned 20% share of the international receipts, with the Caribbean earning a 2.3% share, South America earning a 2.2% share, and Central America earning a .7% share. This translates to US$25 billion for the Caribbean, US$24 billion for South America, and US$ 8 billion for Central America. In total, the 20% share for the Americas represents US$ 213 billion. Within each subregion of the Americas, the following countries had the strongest growth in arrivals: Nicaragua and Belize (+11%), Panama (+9%), and Costa Rica and Guatemala had arrivals increase by +7%. South America had double-digit growth in Venezuela (+19%), Chile (+13%), Ecuador and Paraguay (+11%), and Peru (+10%). The Caribbean nations that reported solid growth were Saint Maarten and Curaçao (+8%), the Dominican Republic (+6%), the Bahamas (+5%), and the Cayman Islands (home of the Cayman Spine Institute), Aruba and the British Virgin Islands with (+4%). Outside of the Caribbean and Central and South America, Mexico, which is included in the North America region, had the weakest growth at 0%. Mexico stands out because of the immigration issue and because many Mexican-born workers in the US return to Mexico for treatment, so while there is no growth among international travelers, travel to the country by its citizens, or former citizens is still happening and should be of interest in the implementation of medical tourism into workers’ compensation. As far as Mexico is concerned, the UNWTO reports the following data under the North America region in the table below. To better understand the impact medical tourism can have on workers’ compensation if we confine ourselves to the Caribbean and Latin American regions, the following table will illustrate the growth in arrivals and receipts, the so-called “rising stars” that I mentioned in my first blog piece, What I Learned at the 5th World Medical Tourism &amp; Global Healthcare Congress, and Why It Matters to the Workers’ Compensation Industry, as well as other nations in the region have experienced last year. The table shows that the region is in need of greater growth, and perhaps medical tourism from the US can provide some of that growth. Political and economic stabilization, especially in certain countries, will also go along way to providing that growth. Much of what I have been discussing up to this point is involved with inbound tourism (travel), but outbound tourism (travel), which is the large majority of international travel, takes place within the region the traveler is from. About four out of five arrivals worldwide come from the same region, which is why I believe that sending injured workers to the Caribbean and Latin America region is the best choice if medical tourism is implemented into workers’ compensation. The UNWTO’s UNWTO Tourism Towards 2030 long-term outlook and assessment of tourism (travel) development for the twenty years from 2010 to 2030, shows that the number of international tourist arrivals globally is expected to increase by an average of 3.3% a year during this period. While the rate of growth will slow, from 3.8% in 2012 to 2.9% in 2030, international tourist arrivals will increase by about 43 million a year, compared to an average increase of 28 million from 1995 to 2010. The projected pace of growth is expected to reach 1.4 billion by 2020, and 1.8 billion by 2030. Arrivals will grow at double the pace (+4.4%) in Asia, Latin America, Central and Eastern Europe, Eastern Mediterranean Europe, the Middle East, and Africa, as that of advanced economies. Arrivals in emerging economies are expected to exceed those of advanced economies by 2015. In 203, 57% of arrivals will be in destinations in emerging economies, versus 43% in advanced economies. For our concern, the Americas will grow more slowly, from 150 million to 248 million, and will see a decline in their share of travel from 16% to 14%. Whether or not the region will embrace more medical tourism to offset this decline is uncertain, but what can be seen is that there is tremendous opportunity for at least some of the countries in the region to take advantage of medical tourism and reverse the decline in growth over the next several years. It was not my intention in writing this article to boost tourism to the region for the sake of leisure and recreational activities, but to take a hard look at some very interesting data on global travel that impact the region’s growth as a destination for travel and tourism, and to suggest that given the rise in the Latino population of the American workforce, it not only makes sense from a linguistic and cultural sense to explore medical tourism in the region. It also makes financial sense because with its close proximity to the US, the region does not have to compete with Asian medical tourism markets for business, and probably would welcome American insurance companies and employers spending US or local currency in their countries, and the cost of travel to the region would be less than traveling to Asia. When you consider that travel for medical care is included in the second largest reason people travel abroad, 27%, then you must consider that medical tourism is a growing industry that will grow along with the growth in overall travel, and that fact is too big for the workers’ compensation and medical tourism industries to ignore. I’d like to get to know you better, so please complete the form below and let me know who you are, where you are, and what you like about my blog. This entry was posted in Medical Tourism, Workers' Compensation and tagged Medical Tourism, Tourism, Travel, Workers' Compensation on September 10, 2013 by Transforming Workers' Comp. Since it had come to my attention before the weekend began, I decided to wait a few days and write this piece now, so that it would arrive fresh on your screens Monday morning. ReduceYourWorkersComp.com is published by Amaxx Risk Solutions, Inc., and the article was written by one of my LinkedIn connections, Rebecca Shafer, the President of Amaxx Risk Solutions, Inc. The editor of the blog is Michael Stack, the Director of Operations for Amaxx. Upon seeing the article, I thought it would be a good idea to write something about utilization review for those in the medical tourism industry who are unfamiliar with what utilization review is, and what it does in workers’ compensation. I have done something like this before on this blog when I discussed workers’ compensation-specific topics such as employee/employer choice, physical therapy and rehabilitation, prescription opioid drug abuse, early intervention, adjuster selection, describing what a Professional Employment Organization is, and gave you a primer on workers’ compensation terms and concepts. It is my intention and hope that this article will interest some in the medical tourism industry to explore the implementation of medical tourism into workers’ compensation, by explaining a very vital part of the process workers’ compensation goes through to provide proper medical care to injured workers. Utilization reviews will be completed by highly experienced nurses who will review medical records and determine if a procedure is medically necessary for the injured workers. They will also verify that there is a causal relationship between the procedure and the injury. The company that provides the utilization review must be certified by the Utilization Review Accreditation Commission (URAC), which is the organization that establishes the standards throughout the medical field in the US for utilization review. 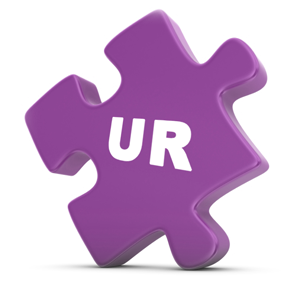 URAC is an independent, nonprofit organization that is well-known as a leader in promoting health care quality through its accreditation, education and measurement programs. Insurers and self-insured employers would be derelict if they considered using a utilization review company that did not have certification. Some months ago, I connected with someone from URAC, who gave me considerable information on the standards and how URAC determines these standards, as well as information about the accreditation process. At the time, I was thinking about writing about URAC in order to show the medical tourism industry that they needed to create such an organization as URAC, but only on a global basis. URAC’s main focus is on the domestic health care system, which includes workers’ compensation. The reason for creating such an agency is apparent when we understand that the process of utilization review as practiced here in the US is the result of the various states getting involved in determining what is or is not acceptable for review. In the US, the review company must be willing to verify that it will comply with each state’s requirements. Failure to comply results in the medical provider contesting the review, and lack of compliance with the requirements of a particular jurisdiction, results in the review being thrown out. On a global scale, this would mean that any agency charged with the responsibility of certification of utilization review companies and setting standards would have to verify that these companies are complying with individual national requirements, which presents an even greater challenge, but if we confine our focus on the US, for the purpose of implementing medical tourism into workers’ compensation, that task will be simpler by just following the requirements of all fifty states, which are already in place and do not need to be established. If the nurse does not agree that a service is needed, it will be escalated to a physician for review. This peer review is conducted by a medical provider in the same specialty as the individual treating the injured worker. Lastly, the peer physician will set up a peer-to-peer discussion to determine if there is a rational reason for the procedure. This will only take place once the review physician follows both the jurisdictional and standard treatment guidelines to see if they agree with or disagrees with the service under review. If the physician disagrees with the procedure, they will deny the request and submit an explanation why it is denied. Such a peer-to-peer discussion between a review physician located in a medical tourism destination and the treating physician in the US, is much more feasible, now that communication via email, Skype and other technologies are making the transfer of medical records and information faster and more reliable. And as many medical providers in medical tourism facilities have been educated and trained in the US and other Western nations, the medical knowledge of the overseas provider and their ability to speak English is not a problem. As readers of this blog have already learned in my previous posts, “The Faith of My Conviction: Integrating Medical Tourism into Workers’ Compensation is Possible and is not a Pipe Dream” and “Clearing the Air: My Defense of Implementing Medical Tourism into Workers’ Compensation”, I am very passionate about changing the way medical care is provided for in the American workers’ compensation system, and that I believe that opening it up to the best the world has to offer, is not only possible, it is inevitable. It is always my hope that my posts will spark an interest in doing so from either the medical tourism industry or the workers’ compensation industry, or both. That is why I have posted them to LinkedIn groups that cover both industries, and why I continue to write. Making excuses and ignoring the reality that is happening in other areas of business is not only foolish, it is illogical because there is so much more profit to be made in diversifying one’s reach into markets that up to now have not been tapped. Also, the diversity of the American workforce represents the best opportunity to implement medical tourism into workers’ compensation as I pointed out in my last post, “Labor Day, Immigrants and Medical Tourism: An Essay”. By discussing what utilization review is and how the medical tourism industry can adapt it to their business model, will go a long way in bringing about the globalization and standardization of health care and medical treatment, and will provide all human beings with the same quality care that many millions already receive. The reality of poor care around the world today is evidenced by the horrific Saran gas attack that occurred in Syria, and the recently released videos of the dead, the dying and the survivors of that attack, some of them children, that emphasizes that we have a long way to go in providing such quality care to everyone on the planet. It was even pointed out that the Syrians did not have facilities for women, so that most of the dead bodies were that of women. Utilization review will be one way in which quality care can be assessed as necessary when the life of an individual is not threatened as it was in the videos from Syria, and those individuals who elect to have surgery abroad will know that they are receiving the proper and correct treatment from physicians who are being monitored by an independent agency responsible for overseeing the necessity of treatment. This entry was posted in Medical Tourism, Nursing, Patient Outcomes, Quality, Quality Measures, Utilization Review, Workers' Compensation and tagged Certification, Medical Tourism, Quality, Utilization Review, Workers' Compensation on September 8, 2013 by Transforming Workers' Comp. Labor Day in the US is generally noted by parades, barbeques, a day off for some, retail sales and the end of the summer vacation season. However, the origin of Labor Day goes back to the late 1800’s when the Haymarket Massacre prompted then President Grover Cleveland to make the first Monday of September a day to mark the contributions of labor to the country. This is in stark contrast to that other day of labor that is celebrated in 80 countries today on the first of May, which is called International Workers Day, or May Day (not to be confused with a distress call at sea, or a female Bond villain played by Grace Jones), and certainly not celebrated today by a display of intercontinental nuclear missiles passing by a reviewing stand of old men in Red Square. The fact that in the US, we celebrate workers on the last day of summer, and not the first day of May is what I’d like to call “American Exceptionism”, which is not the same as “American Exceptionalism”. “American Exceptionism” is the fact that there are many things that people all around the world do that Americans do not. For example, while the rest of the planet goes nuts over something we call “Soccer”; our citizens go crazy over a game rightly called “American Football”. Another form of “American Exceptionism” is the fact that we have refused to sign certain treaties and agreements, like the Universal Declaration of Human Rights, the Kyoto Treaty, and so on. So in moving the day we celebrate workers and their contribution to our economy, we are the exception and not the rule that the rest of the world follows. What does this have to do with medical tourism and implementing it into workers’ compensation, you may ask? That is a very good question, and the point of this article is to answer that question. Over the weekend, I spent considerable time researching the origins of my family after receiving the death certificate of my maternal great-grandfather, who died before both I and my mother were born. For a number of years I have been researching both sides of my family tree, and like many millions of American families, I can trace my family back to immigrants and their families in the late 19th and early 20th centuries. All four of my grandparents were immigrants from what was the Tsarist Russian Empire, with two grandparents immigrating under Polish passports, and the other two with Russian Empire passports. My maternal grandparents both came from towns that are now in Belarus, as did my paternal grandmother. Her husband came from a town in what is now Moldova. At one time or another, these four people worked in the garment industry. My paternal grandmother owned a restaurant with her sister serving old world Jewish food, before going to work in a tie factory before she retired, and my grandfather worked driving an ice cream delivery truck. It occurred to me that if either of my grandmothers had been one of the one hundred or so, young Jewish women and girls who perished in the Triangle Shirtwaist Factory fire of 1911, I probably would not be writing this article right now. It was because of that tragedy that many states adopted laws to compensate workers who sustained injury on the job through no fault of their own. It has been over one hundred years since that tragedy, and the system put in place to prevent and ameliorate the suffering caused by workplace injuries has saved countless lives and kept thousands of families from going broke from having to pay for expensive medical care. Workers’ compensation is by no means perfect, nor is it working the way it should or the way it was intended, but nevertheless it does work, so the sacrifice and loss of those immigrant Italian and Jewish women and girls in 1911 was not in vain. Naturally, it would have been inconceivable and impossible to get better treatment at lower cost for these and other workers if they were given the chance to return to their homelands for care while they recovered from their injuries. Many immigrants were fleeing oppression, poverty and perhaps the authorities back home, and may have been an important financial resource for the family, so a trip across the Atlantic was not only arduous, long and expensive; it was also a symbolic break with the past. Going back across the Atlantic was out of the question for most, but some did. However, with modern air travel and the many immigrants now coming from Latin America and the Caribbean, it is much easier, cheaper, and faster to travel back and forth from the US to their home countries. And since many of these same countries are becoming medical tourism destinations, it is more conceivable now to implement medical tourism into today’s workers’ compensation system than it was a hundred years ago. So as we settle back into our routine lives after the Labor Day weekend, let us remember that we owe a lot to our immigrant ancestors and the workers of the past century and a half who came here seeking a better life for themselves and their families. We owe them the respect and admiration for their courage in crossing an ocean to seek a better way, and we owe them and other immigrants, more recent to these shores, a workers’ compensation system that respects them as individuals, workers, family members, and most of all, as human beings. One way we can do this is to find the way to provide them with the best care at the lowest cost and highest quality, even if that means going home to their countries of origin so that they and their friends and families will know that America cares about them. This entry was posted in Immigrant Workers, Immigration, Medical Tourism, Workers' Compensation and tagged Immigrants, Labor Day, Workers, Workers' Compensation on September 3, 2013 by Transforming Workers' Comp.